Network for Europe staff attended the 11th European Week of Regions and Cities which took place in Brussels from 7 to 10 October 2013. 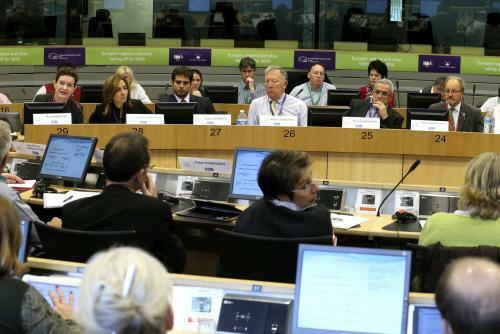 Open Days is the largest annual event devoted entirely to regional policy and was organised by the Committee of the Regions and the European Commission's Directorate-General for Regional and Urban Policy, in partnership with 200 regions and cities from 30 countries. A hundred workshops and debates were held in Brussels whilst another 200-300 local events are being organised all over Europe. Network for Europe presented at the workshop titled Citizen participation in community-led local development (CLLD). The session showcased practical experiences in tackling issues and finding solutions in urban areas with a jobs and enterprise, environmental and community services dimension. There was a special focus on citizen engagement in local development to help address the serious challenges now facing cities in the prolonged economic crisis. Participants were also given the opportunity to discuss how local development can make a positive contribution with reference to the macro-level objectives of the Europe 2020 strategy.